It is well known that osteoarthritis (OA) can have an emotional impact on humans but is this the case in dogs? Researchers at the University of Bristol are looking for dogs affected by the condition to take part in an arthritis and emotion study. The Canine Arthritis and Emotion study, led by the Animal Welfare and Behaviour Group in the School of Veterinary Sciences, aims to find out more about how OA can affect a dog's mood. To investigate the emotional impact of OA, the researchers will be training dogs in their home to perform a simple behavioural task to see how motivated they are to search for treats. The task involves teaching dogs to flip a cardboard lid off a bowl using their nose to find treats hidden inside. Owners will also be asked to bring their dog to the Vet School for a full clinical examination by a vet, which will include the use of a specialised pressure sensor to measure joint sensitivity. Lauren Harris, Vet School PhD student who is co-running the study, said: "Osteoarthritis (OA), also known as degenerative joint disease, is the most common type of arthritis seen in dogs and is a very common cause of chronic pain, particularly in older dogs. "Dogs with the condition can show reduced mobility, behavioural changes and altered activity leading to a decrease in quality of life. 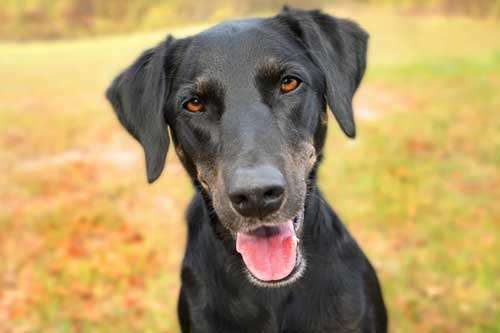 Our theory is that dogs with OA are more pessimistic than healthy dogs and we hope our research will find out the emotional impact of OA on dogs." Members of the public, who own a dog over six years of age and over 12 kilograms in weight who is showing signs of OA, such as stiffness after walks and difficulty jumping or climbing stairs, and who live in Bristol and the surrounding area, are invited to take part in the project by emailing lauren.harris@bristol.ac.uk or telephoning 07840 602 154. The research team are also looking for healthy dogs of the same weight and age that are fit and well to participate in the study too.